Aron Raams was born 28th of may 1979 in the the city of Oosterhout, Holland. Coming from a musically gifted family he picked up the guitar at the age of 6 and played in several bands all through his youth. In 2003 he graduated from Tilburg Conservatory/School of Arts and started to build his reputation in the Dutch music scene as a versatile guitar player. Before becoming the musical director of internationally acclaimed band Gare Du Nord, Aron played with John Scofield, Candy Dulfer, John Beasly, Jan Akkerman, Wouter Hamel, Julian Sas and many Dutch leading musicians. 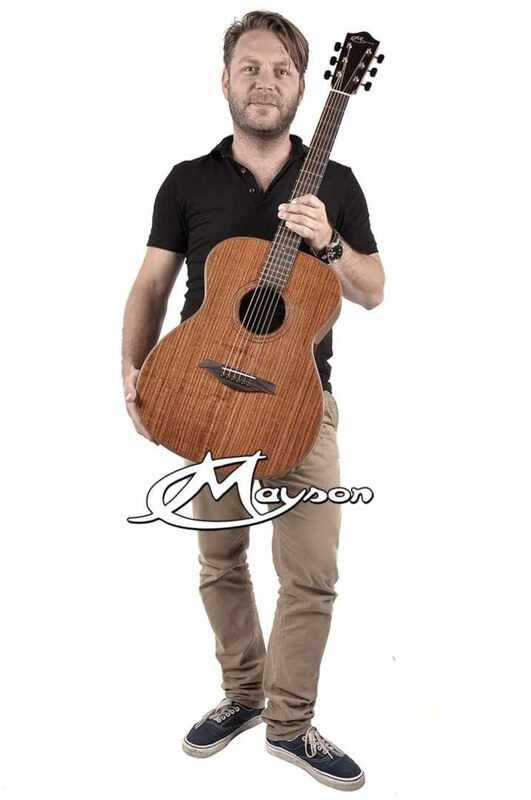 Aron started his cooperation with Mayson directly after the official European introduction of the young brand in april 2013 (Musik Messe Frankfurt). Aron will attend many of the international product presentations during music branche trade shows, performing on his Mayson MS3/O-AR signature guitar. In october 2013 will start a short tour in the south of China, visiting theatres in Shenzhen, Guangzhou and Foshan.